ONE OF CAPE BRETON, NOVA SCOTIA’S MOST IMPORTANT EXPORTS AND A SUPERSTAR IN THE CELTIC MUSIC WORLD (THOUGH SHE’S FAR TOO HUMBLE TO ADMIT IT), FIDDLER AND STEP-DANCER NATALIE MACMASTER HAS BUILT A STERLING, MULTI-DECADE CAREER ON ELECTRIFYING PLAYING AND MUST-SEE LIVE PERFORMANCES. HER EXTENSIVE DISCOGRAPHY SHOWCASES MACMASTER AS BOTH SOLOIST AND MARQUEE COLLABORATOR, NOTABLY WITH HUSBAND AND FELLOW FIDDLER DONNELL LEAHY. AN ORDER OF CANADA IS AMONG MANY ACCOLADES THE ONTARIO-BASED MOTHER OF SIX HAS RECEIVED IN RECOGNITION OF HER PEERLESS ARTISTIC STATUS. Solo: Four On The Floor (1989); Road To The Isle (1991); Fit As A Fiddle (1993); A Compilation (1996); No Boundaries (1997); In My Hands feat. Alison Krauss (1999); My Roots Are Showing (2000); Live (2002); Blueprint (2003); Yours Truly (2006); Cape Breton Girl (2011). 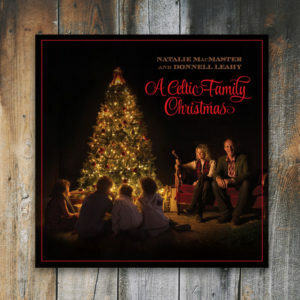 Collaborations: Songs of Joy & Peace w/ Yo-Yo Ma (2008); A Christmas Gift to You w/ Johnny Reid (2013); One w/ Donnell Leahy (2015); A Celtic Family Christmas w/ Donnell Leahy (2016). Solo: JUNO Awards (seven nominations, win for Best Instrumental Album, In My Hands, 2000); 19 East Coast Music Awards; 5 Canadian Country Music Association Awards (as Fiddler of the Year from 1997 to 2001); multiple gold albums with overall sales exceeding 300,000; Member of Order of Canada (2006); GEMINI Award (Best Performance or Host in a Variety Program or Series, 1999); Honorary Doctorates at School of Theology, Halifax, NS, Trent University, Peterborough and Niagara University in New York; Casino Nova Scotia Music Hall of Fame Induction (2016). Collaborations: Grammy Awards (win for Best Chamber Music Performance, Songs of Joy & Peace w/ Yo-Yo Ma, 2010; nomination for Best Traditional Folk album, My Roots Are Showing, 2000); Canadian Folk Music Award (Instrumental Group of the Year 2015 w/ Donnell Leahy); East Coast Music Awards (Fan’s Choice Entertainer of the Year and Instrumental Recording of the Year 2016 w/ Donnell Leahy). Has performed with Béla Fleck, Faith Hill, Carlos Santana, The Chieftains (who invited MacMaster to join the group), Sharon, Lois & Bram, Buddy MacMaster and Jesse Cook; is distantly related to fiddler Ashley MacIsaac and rocker Jack White; has a teaching degree and home-schools her children; is a published author (Natalie MacMaster’s Cape Breton Aire, 2010); sun sign Gemini; is an excellent cook who makes pasta sauce and salad dressing from scratch.